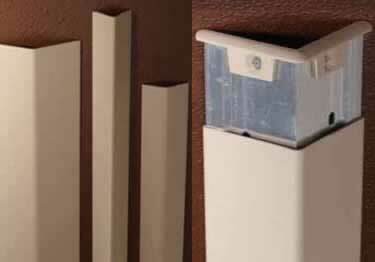 These polycarbonate smooth corner guards for walls are easy to install, low-cost,&offer excellent protection. On sale now, 10% off regular price. Starting at $2.27. 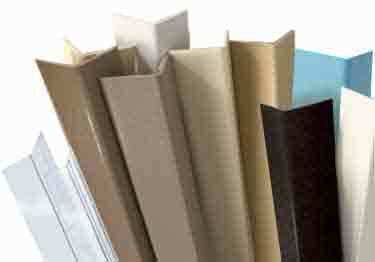 Heavy-duty textured vinyl corner guards will protect your corners from damage while providing a decorative textured finish. On sale now, 5% off regular price. Starting at $6.03. These textured corner protectors for walls are easy to install with aluminum retainer, provides true impact bumper protection. On sale now, 10% off regular price. Starting at $22.94. A Koffler exclusive, you can paint and match any color wall. 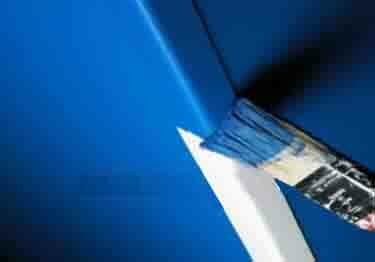 Made from a specially prepared paintable material. Starting at $6.52. 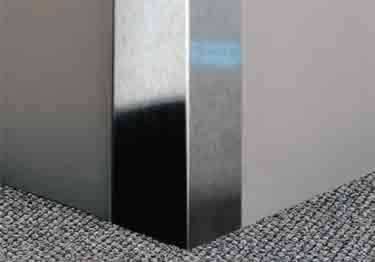 Satin finished Stainless Steel Metal Corner Guards for walls; unmatched in beauty. Stainless Steel protects against blows. On sale now, 5% off regular price. Starting at $21.76. 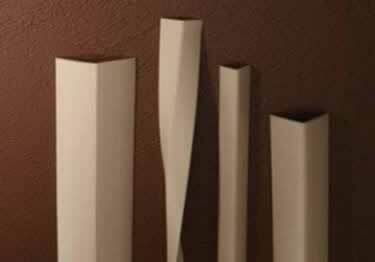 Protect wall corners from dings & scratches. For hospitals, restaurants & airports, available in different sizes & colors. Starting at $28.24. 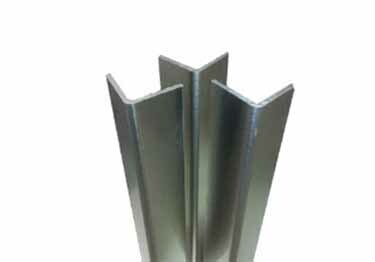 All Corner Guards feature heavy duty solid metal construction. Box/10 On sale now, 5% off regular price. Starting at $18.16. Excellent for light impact damage while looking aesthetically pleasing with our "Gold" metal finishes. On sale now, 10% off regular price. Starting at $22.14. 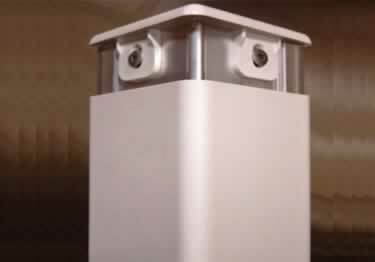 Tough, yet light weight metal&attractive look for your corner protection. Easily painted to match wall colors. Starting at $35.57. 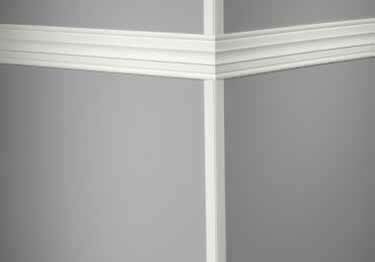 Johnsonite Millwork Vinyl Corner Guards have the true beauty of Millwork. On sale now, 5% off regular price. Starting at $4.96. 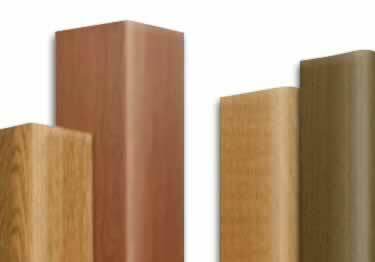 Faux Wood Grain Corner Guards are unmatched in wood grain beauty. Easy to clean, permanent color, and easy to install. On sale now, 15% off regular price. Starting at $15.33. 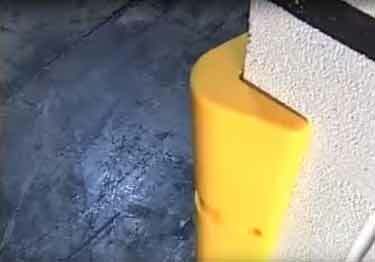 This extra thick Rubber corner protectors provide maximum protection in storage spaces, parking garages and loading docks. Starting at $22.04. 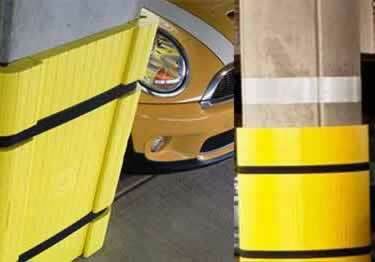 Use vinyl or rubber corner guards as a low-cost alternative. Offers excellent protection against corner damage. On sale now, 10% off regular price. Starting at $19.82. Perfect for low impact & low cost protection. 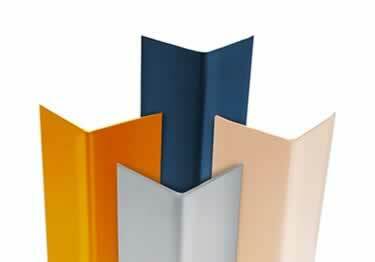 Made from durable PVC capable of receiving impact without chipping & scratching. On sale now, 5% off regular price. Starting at $13.34. Offer a real like fuax wood grain look. 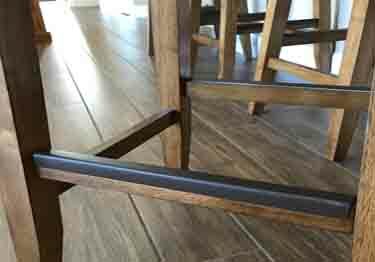 Stop corner damage while still blending in to any wood interior space. On sale now, 5% off regular price. Starting at $61.65. Re-usable, designed & manufactured to provide the ultimate edge protection for high traffic areas. High impact cardboard. Starting at $7.24. Shield chair rails from the bangs, nicks,&scratches of climbing&hanging feet. 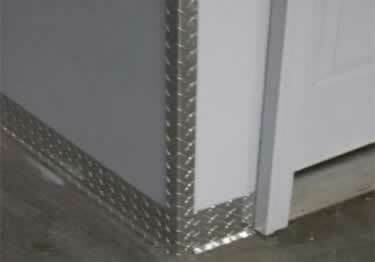 Stainless steel or polycarbonate construction. On sale now, 10% off regular price. Starting at $19.58. 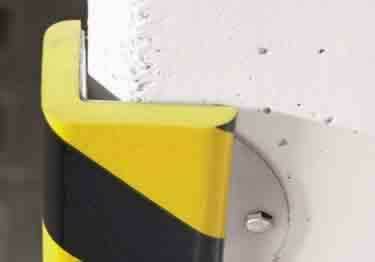 Protect corners, equipment & staff with impact absorbing corner guards. Stands 42" high & covers 4" x 4" of corner. On sale now, 10% off regular price. Starting at $330.79. 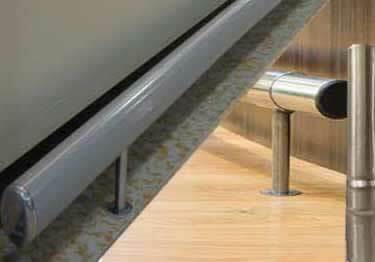 Stop costly destruction & injury caused by impact to workplace corners with Bumper Corner Guards. Durable with a flexible polyurethane. On sale now, 10% off regular price. Starting at $53.95. 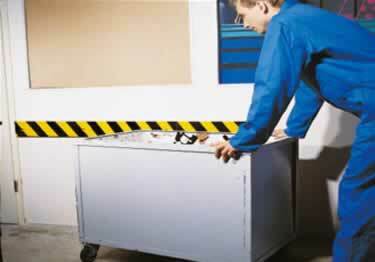 Protect walls, equipment, machinery & employees from impact injury with durable foam. Available in 6 colors, 5 types, & 7 sizes. On sale now, 10% off regular price. Starting at $154.89. 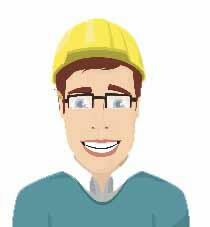 Reduce injury & protect equipment, machinery, & walls from damage. 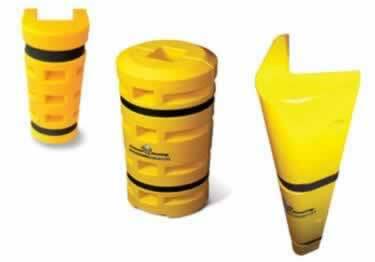 Safety Guards are available in 6 colors, 7 types, & 8 sizes. On sale now, 10% off regular price. Starting at $44.25. 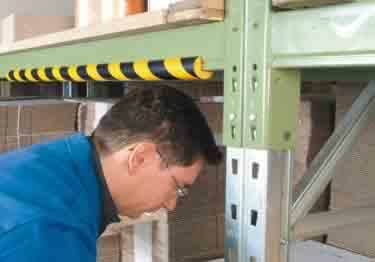 Impact resistant equipment to protect concrete columns, poles or racks. Starting at $330.31. 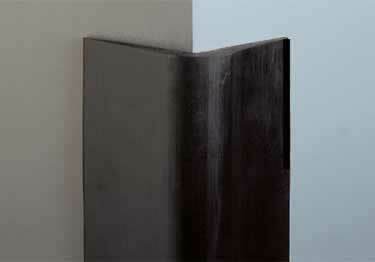 End Wall Guard Assembly includes two 90° corner guards for walls with a vinyl wall covering filler strip. Starting at $147.92. Creates a smooth transition from wall to corner. Constructed with heaviest-gauge aluminum retainers & rigid vinyl covers. Starting at $136.98. 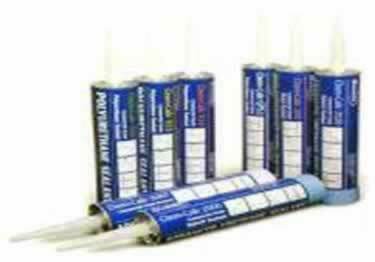 Plastic and Wood Adhesive is an approved excellent solution for applying Koffler corner guards Starting at $8.48. What do you get without any corners? A circle. Unless your home or office is shaped like a circle, you're going to have some corners. 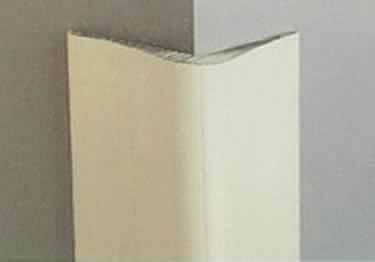 Wall corners can easily become damaged while moving furniture, accepting large deliveries, bumped by a wheelchair, or during indoor football games. 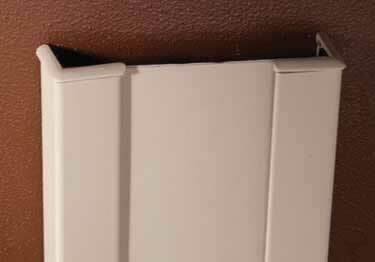 Yes, you can take the time to repair and repaint your walls, or you can be smart and install high quality corner guards from Koffler Sales. 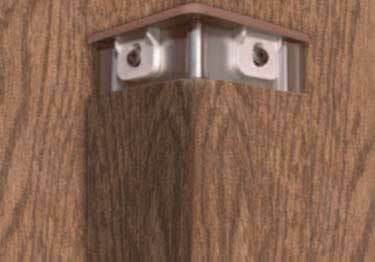 At affordable "Value Right" prices, corner guards from Koffler Sales are easy to install, long lasting and easy to take care of. In the end, you're saving money and time with the right wall protection products in place. Wally, can you stop playing football inside? One of these days someone is going to knock over Aunt Peg's vase. 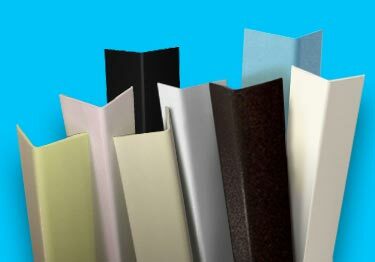 With several styles to choose from, many with dozens of color options, you can find corner guards at Koffler Sales to fit any design. Choose something classic and dignified for a law office, or go wild and have fun with a rainbow of colors in a children's hospital or school. 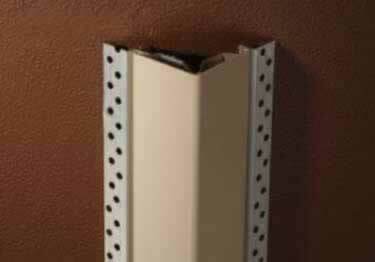 Koffler Sales even offers clear and paintable corner guards to ensure a perfect match to your walls. 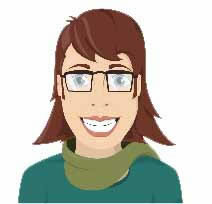 Need help deciding between two colors? Koffler Sales offers free samples so you can be confident in your purchase.